This is how my year ended. I suppose it would make sense if this had happened on New Year’s Eve and I had been drinking. It would make more sense if I had blacked out or had been on the phone or talking with someone in the passenger seat. But when this happened, I wasn’t even listening to the radio. It was the middle of a beautiful, sunny day. There was no weather to blame, no busy intersection to distract me. This was simply my fault. I turned into a car I never saw. 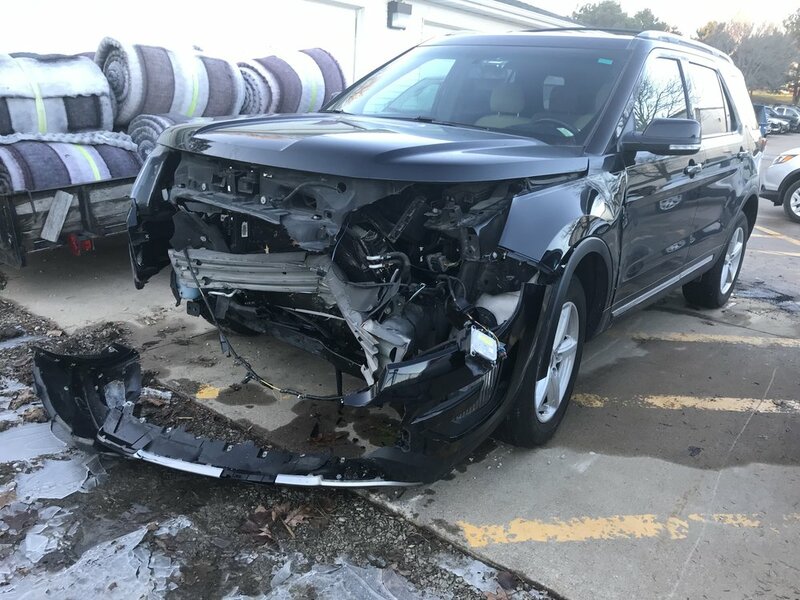 Now this is not my first accident - two years ago I was rear-ended while sitting at a stop light - but this one felt different. Once I had removed the air bag from my chest, checked all my body parts, and climbed out of the passenger door, it began to sink in. I had no idea what in the hell had just happened. I had no idea how I hit the other car. Hell, I never even saw the other car. It was like it literally dropped right out of the sky in front of me. Witnesses would confirm, however, that this was no paranormal event. So WTF? This is a good time for some disclosure. I don’t believe in accidents. While it is true that we do things we don’t consciously intend all the time, I believe that there is, more often than not, more going on under the surface. I hit a car that everyone else knew was there, with no rational explanation. Something was definitely up. One week after the accident I was still struggling. My chest pain had subsided somewhat, but emotionally, I was not okay. I was riddled with self-doubt, concerned about my mental state, and tortured by the idea that I was being given an opportunity to learn or see something here - something important to my spiritual growth -but I did not know what it was, which only added to my inner turmoil by making me fear it would happen again. Breakthroughs happen, in my experience at least, when we are ready and open to a new idea or paradigm, when we are desperate enough to look at a problem differently. And I have learned there are no shortcuts. This particular breakthrough came after many tears, endless journaling, meditation, and a vulnerable conversation with my loving friend, masseuse and Reiki Practitioner, Beth. As I poured out my fear and confusion and self-doubt, she held the space, reassured me and listened. And in that sacred moment, I got it. I have been asleep at the wheel of my life. My inner quest this past year has been to practice more vulnerability. While I have grown a lot toward that end in my family life, it has been very difficult outside of my home and family. I had let the practice of vulnerability become a head game. I would think about how to be vulnerable with people and then try to act accordingly. What I thought was vulnerability was actually withdrawl. I mistakenly tried to make myself softer by saying less and engaging less in an attempt to make space for others. All of my striving to be vulnerable only made me smaller. No wonder I have been grieved and frustrated that nothing had really changed. Taking an airbag to the chest made me take a look at my heart. It helped me to realize that I can’t be more vulnerable and open by thinking about it or acting a certain way. Vulnerability is an act of the heart. It is simply an act of love. While this may not be news to some people, it is a game-changer for me. Everything I want - deeper relationships, fullness of experience, spaces to fully show up in, more love - comes from moving through the world with an open heart. When you spend most of your life above your chin, this is news. This is very good news. Maybe you’re already really good at letting people see you. That is so good. But if you’re more like me, let me just reassure you, there is still hope. And love. Lots of love.